Everyone has a favorite knife, and this is mine. I have four of them, remnants of a decades-old set of steak knives. I know they are aren’t intended to be used for everyday food preparation, and I do own better knives, but I just keep grabbing these. They are still very sharp. The serrated edge is super-helpful, and my hand and that wooden handle know each other so well. 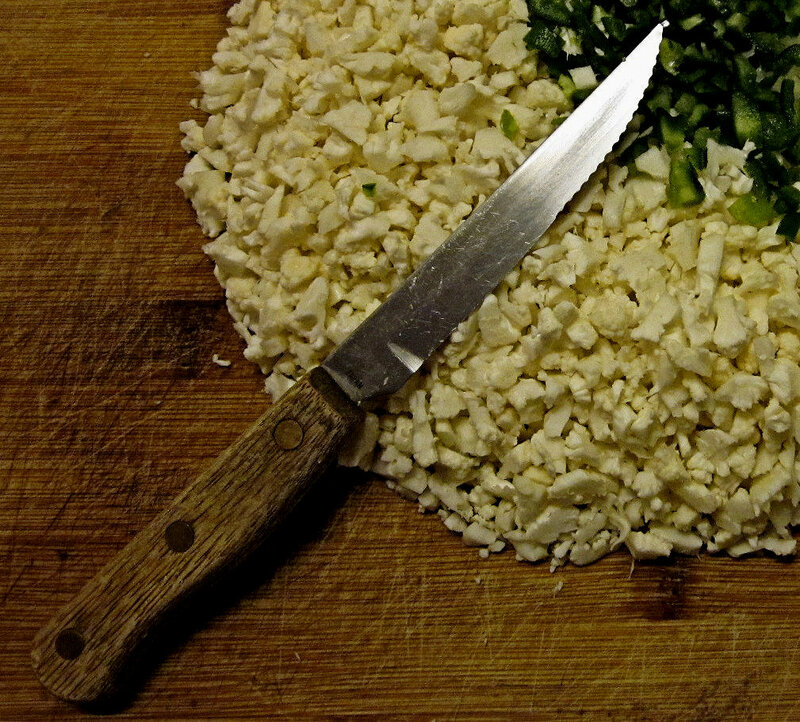 This old knife chops the cauliflower, peppers and onions I need to make ‘Faker’ Tots. These delicious treats are just right for low-sodium and low-carb diets. Tonight, I’ll be serving them with a low-sodium macaroni and cheese dinner. 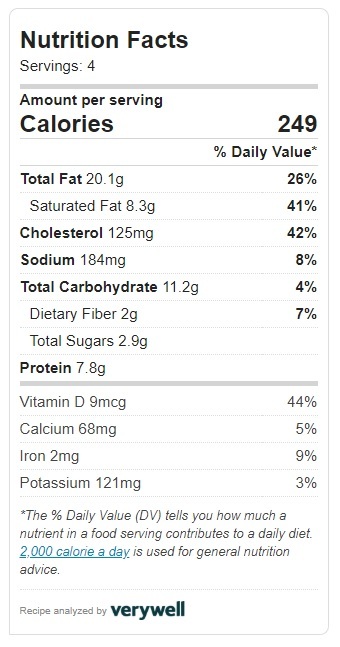 Gotta love ‘kid food’ meals. Before combining everything and getting into tot-mode, I like to throw the fresh chopped veggies under the toaster-oven broiler just until they start to develop some browning. This step is optional, but I feel it increases the depth of flavor. It also softens the veggies, making it easier to press the tot mixture down tightly in the mini muffin tins. Click these pics for a more detailed look at the broiling effect. 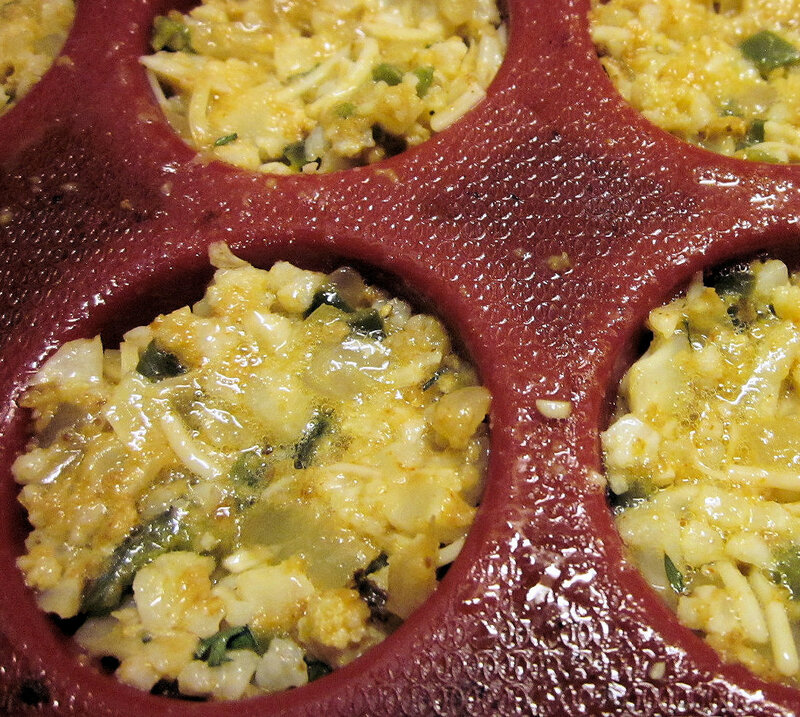 Mini muffin pans have cups that are the perfect size for this recipe. And the pans are flexible, so your tots can be popped out easily. Mmm. I’m having trouble keeping my fingers off this picture as I type. I’m hopelessly hooked. Served hot and crunchy, these 'faker' tots make a delicious appetizer. No potatoes were harmed in the re-making of this classic treat. 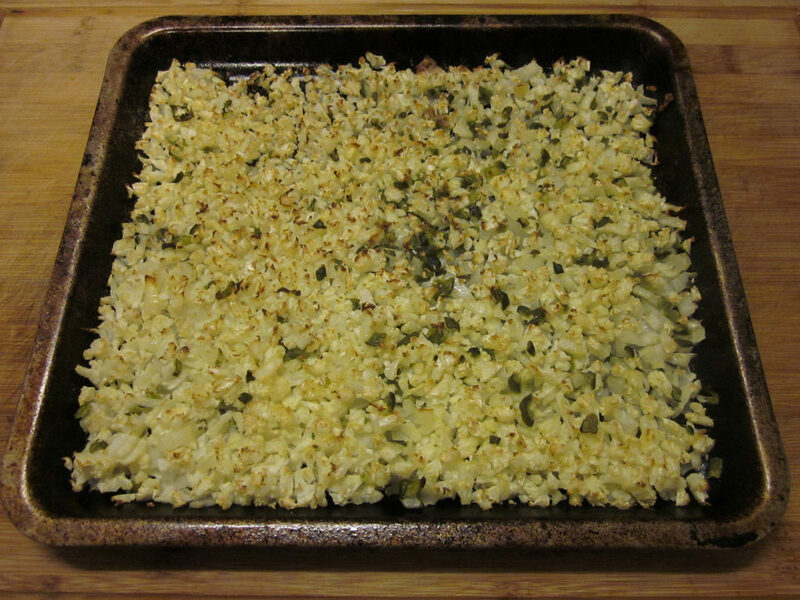 1/4 cup bread crumbs dry. If possible, use toasted crumbs for extra flavor. Preheat oven to 375°F. Spray mini muffin tins (or tin, for a total of 12 mini muffin cups) with olive oil cooking spray or lightly grease with olive oil. Set aside. Crack both eggs into the vegetables. 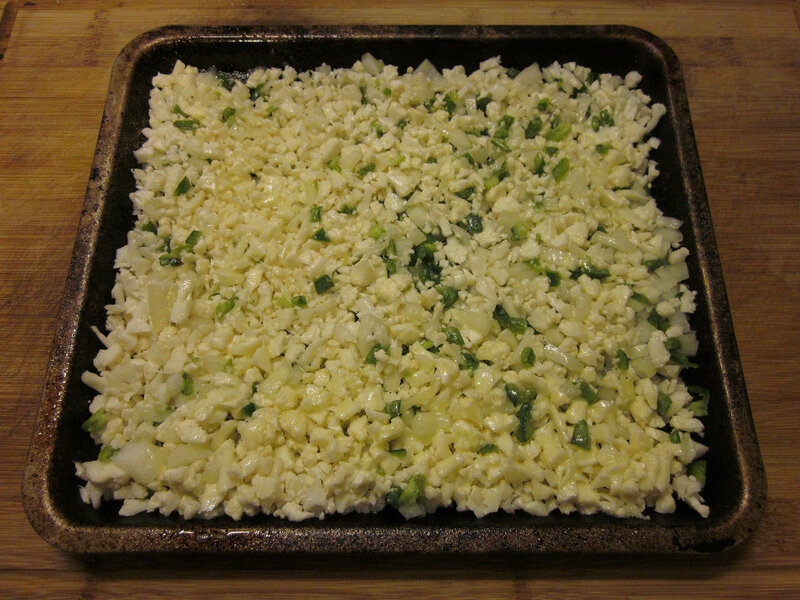 Stir until the eggs have broken down and all the vegetables are coated. Add the cheese, bread crumbs and all spices to the vegetable mixture. Stir until well distributed throughout the vegetable mix. Spoon about 1 tablespoon of mixture in each mini-muffin cup, and press down firmly with fingers to make a solid tot. You want to only half-fill each mini-muffin cup. Keeping them thin will increase their crunch. Bake for 20 minutes or until the tops look crispy. Serve immediately for maximum crispness. So saving this for next summer!